This is a pretty grim story, but it falls well within our baliwick here at the Ball Report: if you notice anything strange in your balls you need to see a doctor right away. It could be testicular cancer… or it could be a tapeworm eating its way through your body to lay eggs in your brain. Hold on to your stomach, because we’re about to get gross. An unnamed teenager was brought to the ESIC Medical College and Hospital in Faridabad, India after his parents noticed him having seizures. They noticed swelling in one of his testicles and over his eye, so doctors immediately put him in an MRI machine to see if they could get to the bottom of his condition. What they found was terrifying. 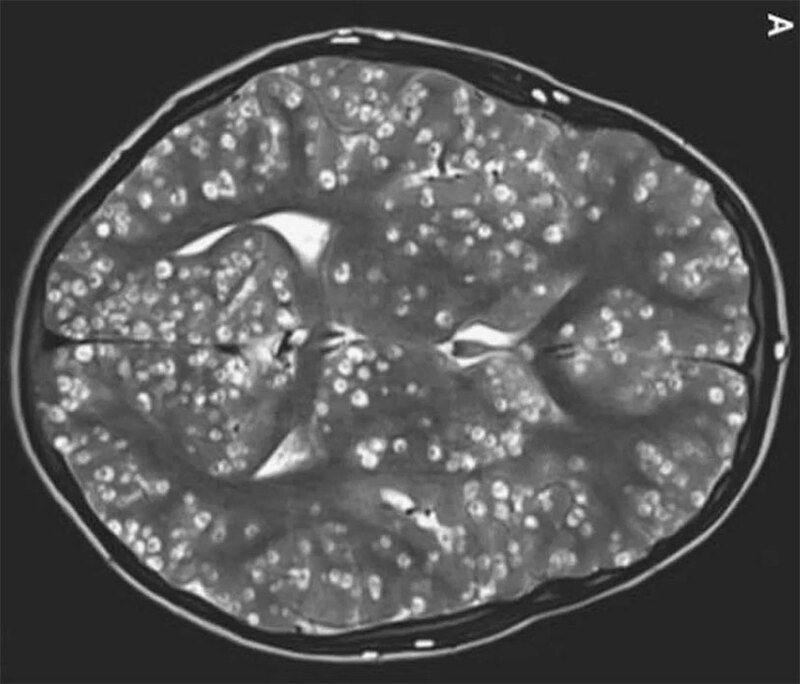 The boy had multiple parasitic cysts in the outer layer of his brain caused by egg colonies laid by tapeworms. Tapeworms, a parasitic organism that pass into the human system through consuming undercooked pork, are notorious for eating their way through any tissue in their path, and if they’re not removed from the digestive tract immediately their eggs build up and the newborn worms burrow willy-nilly, causing massive neurological damage. The patient in this case was too far gone and passed away two weeks later.